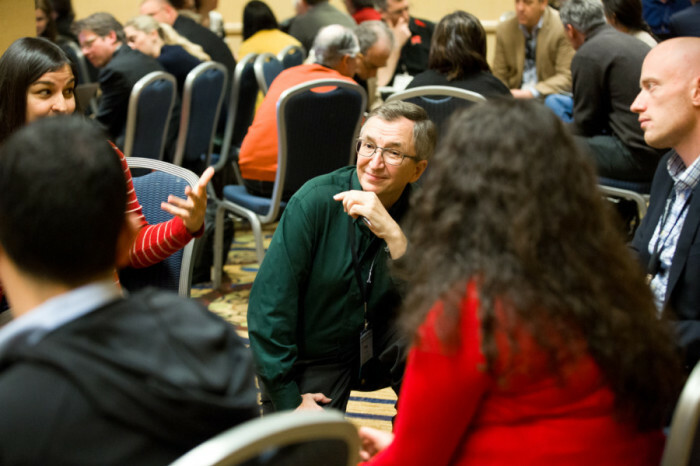 Editor’s note: This is the fourth in a series of blog posts intended to highlight the main ideas of Learning to Improve and launch a conversation on how these ideas are being used within the education field. Humans have been organizing themselves into collectives for social, political, and commercial enterprise for a very long time. Long before there were learning communities in schools or social networks on the Internet, there were tribes organizing our actions. What is new is the attention to networking as a scientific strategy to extend human capabilities in pursuit of shared interests. Also new are understandings about how to effectively implement networks and useful tools and processes for doing so. And what is most especially new is networks, enhanced by modern technologies, using improvement science to solve problems of practice in healthcare, education, and other social sectors. It is in the joining together of these two big ideas that affords great promise for accelerating educators’ efforts to improve our nation’s schools. 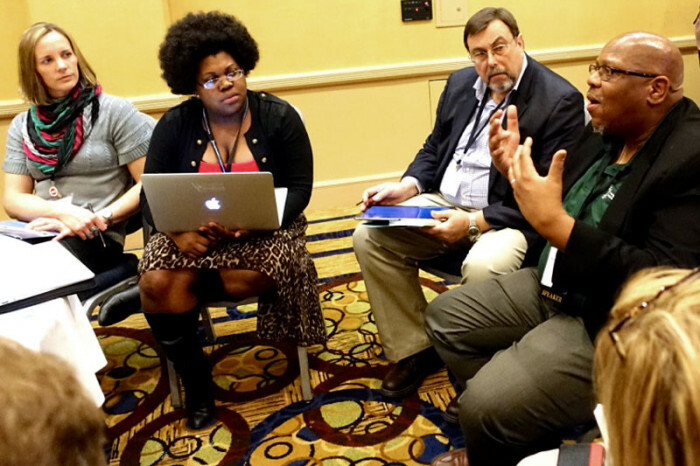 So What are the Distinctive Features of a Networked Improvement Community? NICs share many attributes of professional communities (such as professional learning communities, communities of practice, etc.) in their best sense. One characteristic that distinguishes them from many is that while most such communities are what might be termed “communities of common interest or purpose” (shared interest amongst members who seek to learn from and with each other), NICs might be thought of as “communities of common accomplishment” (they seek to accomplish some clearly defined, measurable outcome). Too often efforts at improvement in education fall prey to what might be called “solutionitis.” Emphasis is placed upon the spread of programs that have been demonstrated to be effective, often without regard for a deep understanding of the problem or the context that defines it. NICs, by contrast, carefully study these things and articulate a theory of improvement thought to address them in the very terms that define them. Then the members of the NIC are in a position to evaluate possible solutions—choosing wisely, adapting appropriately, and inventing when invention is called for. Whereas traditional evaluative methodologies are designed to permit attribution so as to know “whether some program works,” improvement science provides an equally rigorous methodology for knowing “how to make a program work” reliably and across contexts. NICs are, by their nature, often large and widely distributed communities. Careful coordination is necessary to ensure that they work well. Commonly held aims (and measurement systems that attend to them), shared understanding of the problem (and means of addressing them), and rigorous publicly understood methods all help to organize collective effort in the address of complex problems. Serious investment in knowledge management helps with the spread and use of the knowledge about improvements generated within the NIC. Why are NICs uniquely well-suited for organizing and supporting improvement research in application to high-leverage educational problems? When defined and pursued as described above, NICs offer distinct advantages over localized R&D activity. First, NICs can be an enormous source of innovation. No matter what the problem being addressed, the chances are that someone somewhere in the NIC has wrestled with it, or at least some of its component parts. The range of expertise and experience within the NIC can provide a wealth of ideas for testing as possible improvements. Second, NICs provide diverse contexts within which to test those ideas. By their nature, NICs subsume a variety of settings in which to test innovations. Such testing across contexts is essential in order to learn how to implement effective ideas reliably and at scale. Third, NICs provide the social connections that accelerate testing and diffusion. A well conceived and supported NIC builds trusting relationships that allow members to respect the contributions that each brings to the collective effort. Fourth, NICs provide a safe environment in which to engage comparative analyses. Such analyses, based upon measures held in common, are essential to enable insights about persistent problems or places where such problems have been successfully addressed. They both contribute to and inform a moral urgency that “if others can succeed, we can too.” Fifth, NICs permit the identification of patterns that would otherwise look particular to each context in turn. It is only by conducting analyses across member entities that patterns emerge, can be identified, and can contribute important knowledge to improvement efforts. As we acknowledge in Learning to Improve there are still many questions to be answered about NICs: How are they organized, initiated, and sustained? How are human resources organized within new roles and professional identities within NICs? How is the knowledge produced within them gathered, organized, accumulated, and spread to ensure uptake and use? Looking ahead, we want to enable a community to explore these questions and more. There is so much more we need to learn, and can learn together from each other, if we are to take these promising ideas and actually realize their potential for improving our nation’s schools. 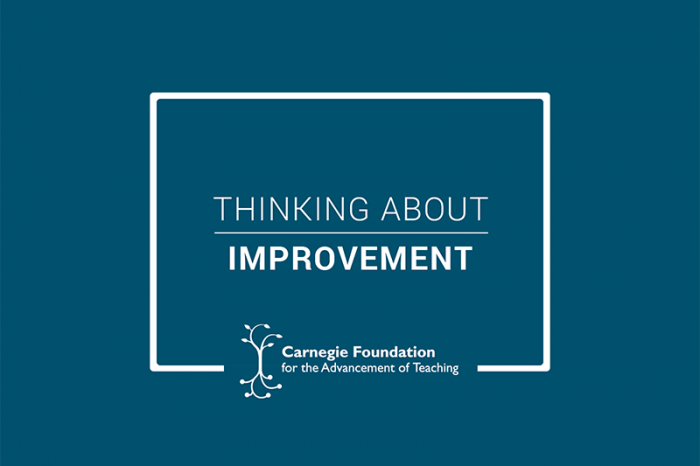 In response to Carnegie President Anthony S. Bryk's post on expanding the conversation about learning to improve, we received numerous responses. President Bryk replies to two of them in this post. Working to reliably land paper airplanes, educators, researchers, and other workshop participants experienced how improvement science offers a different way to solve problems and collect data.